Trintek Energy Consulting serves the power and energy industry with the energy consulting experience necessary to maximize the success of clients and reduce risk through due diligence. Trintek Energy Consulting specializes in cost effective energy consulting, wind energy projects, energy project development services, electric power projects, power purchase agreements, and project financing. We serve clients in the energy industry by performing selected analysis and energy consulting services. These energy consulting services are focused on wind energy and fossil fuel fired power projects. Our energy consulting services include the areas of greenfield development, acquisitions and divestments, and asset management. Trintek Energy Consulting is respected for its detailed and thoughtful due diligence, project development insight, and contract negotiations. Trintek Energy Consulting is flexible and generally can perform your energy consulting assignments on a fast track basis. 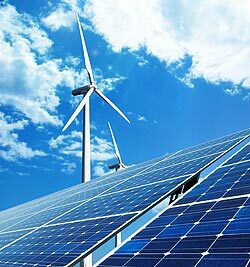 Trintek Energy Consulting will help you to negotiate a cost effective purchase of clean renewable wind or solar energy. We will also help you assess whether the risks embedded in your contract to purchase clean renewable energy are fairly allocated between your company and the Seller or your counter-party. Price does not always equal value. But, power generation location and the details of the deal structure, terms and conditions may matter a lot. Trintek Energy Consulting makes sure that you get the right information, at the right time, so that you can make the right choices. Your renewable power purchase agreement is given the special attention it requires. Trintek Energy Consulting is committed to understanding and meeting your needs with a standard of excellence, integrity, and trust. Client satisfaction is paramount. Trintek Energy Consulting is respected for its detailed and thoughtful due diligence, project risk assessment, and successful power purchase agreement negotiations. Trintek Energy Consulting has extensive experience in wind energy and solar energy project development, Prior to founding Trintek Energy Consulting LLC in 2003, our principal consultant had accumulated many years of energy industry experience as an employee with energy companies such as Amoco Corporation, and The AES Corporation. We have the expertise to advise you on selecting the best wind or solar project and counter-party to contract with. We have the experience and expertise to negotiate a solid renewable power purchase term sheet or Heads of Terms, and to help you and your legal counsel negotiate the detailed final power purchase agreement in the form of a full-blown contract. As an experienced renewable power project developer, we also offer full due diligence on wind and solar project sites and project contracts, and other specialized services that you may need to select the best power project and counter-party to negotiate with. We encourage you to fully review this site for additional background and details about Trintek Energy Consulting. By selecting Trintek Energy Consulting as your energy consulting resource, you can expect that we will focus on your needs, goals and deadlines, and perform the renewable power purchase agreement contracting process and the due diligence required to ascertain whether your counter-party or the developer can actually timely finance, construct, and operate the project you are contracting to buy your renewable energy from. Your success is our success. When you choose Trintek Energy Consulting, we believe in helping you to create a competitive advantage through intelligent renewable power purchase negotiations during the energy consultation process.